This text presents a systematic approach to understanding the patterns and alternations in the sounds and structures of Russian. The approach is “usage- based” as found in the theoretical works of Ronald Langacker, Joan Bybee, and others. Rather than positing abstract underlying forms along with ordered rules to derive the actual spoken occurrences, this model is exemplar- based. Variations of words are related by rule, but, significantly, these rules emerge based on the patterns found in actually spoken forms. Through this approach many variations can be shown to behave in a relatively systematic way. Russian noun and adjective declension, while appearing chaotic, is actually quite orderly when seen in the light of a usage-based analysis. The same can be said for verbal inflection as well as derivational morphology. The final part of the book is a review of the main historical developments that have produced the system described in the initial chapters. 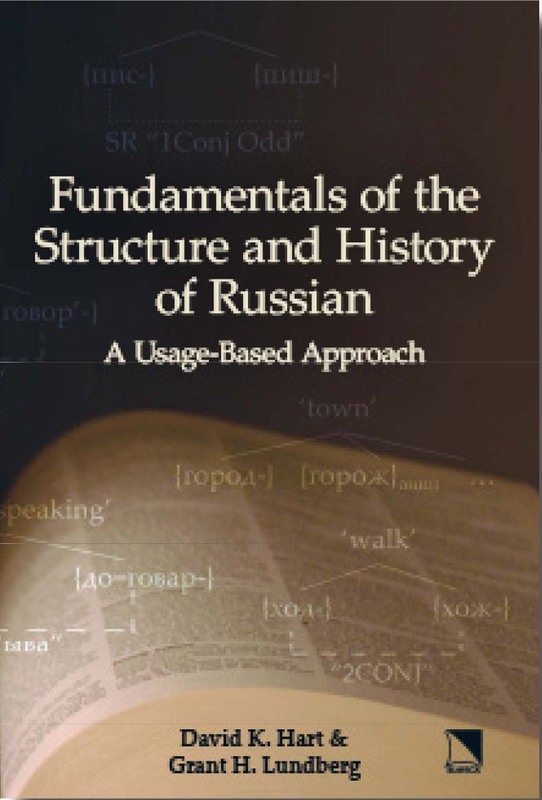 While it is useful to look at the history of a language in order to understand why the language operates as it does today, the authors are careful to distinguish historical language information, which may have been available to speakers at an earlier time, from information that is available to today’s Russian speakers. The text concludes with a brief overview of how the described usage-based approach represents dynamic aspects of language, language as it evolves.